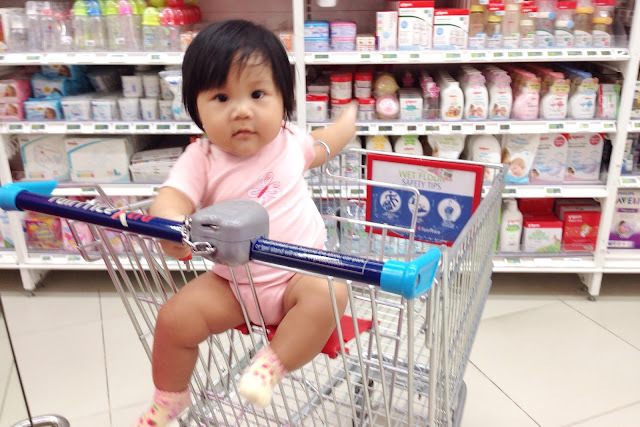 Today when we when grocery shopping, baby started waving using one hand. Waving at people walking by as I pushed her in the grocery trolley seat. Previously she waves with two hands. Haha she's so adorable.